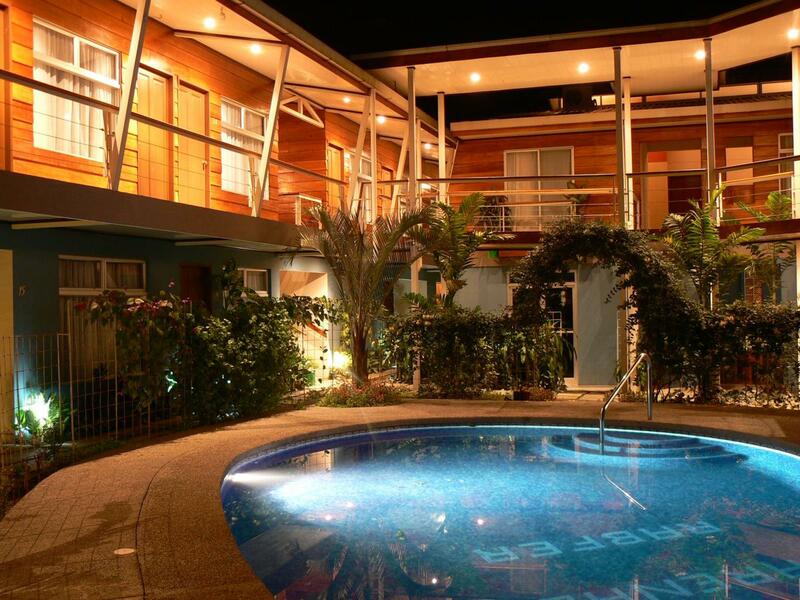 Arenal Rabfer hotel is a great base during your stay in the Arenal Volcano area, it is a small family run hotel and is one of the new hotels in the area. Close to a many resturants and yet a few blocks away from the hustle and bustle of La Fortuna so it is one of the more peaceful options in the La Fortuna area. The Arenal Rabfer hotel offer comfortable new rooms, simple, double, triple, or quadruple, that are done with a shower with warm and cold water, air-conditioning, T.V, hair dryer and minibar. "Great location. Very nice and helpful staff. Excellent wifi! " Great location. Very nice and helpful staff. Excellent wifi! The Staff were very helpful in setting up tours, getting us on a bus to Jaco and with restaurant suggestions. Very close to town. I would recommend this to other travelers.